Photo Courtesy of Tim Neill owner - His dad shown in picture. 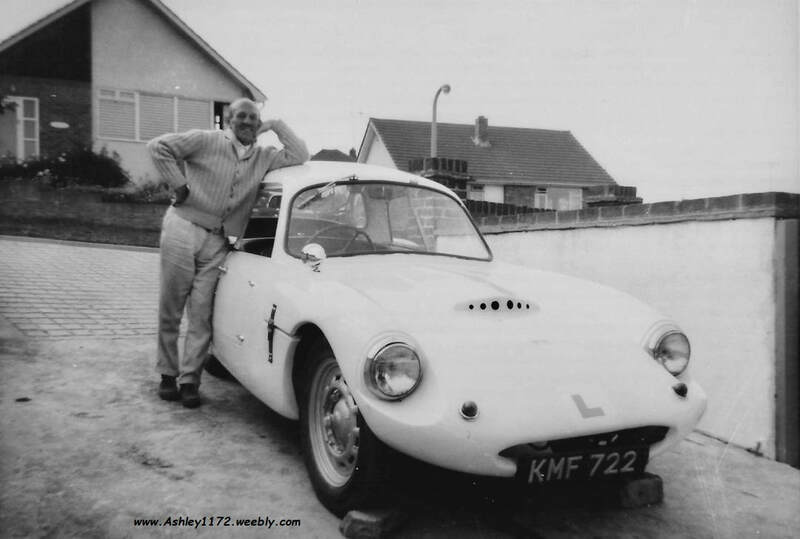 Hi - I just stumbled across your intriguing FB page and was prompted to dig out these two photos of the Ashley 1172 I owned in 1963-1965 in Brighton, Sussex. One pic has my dear old Dad in it. 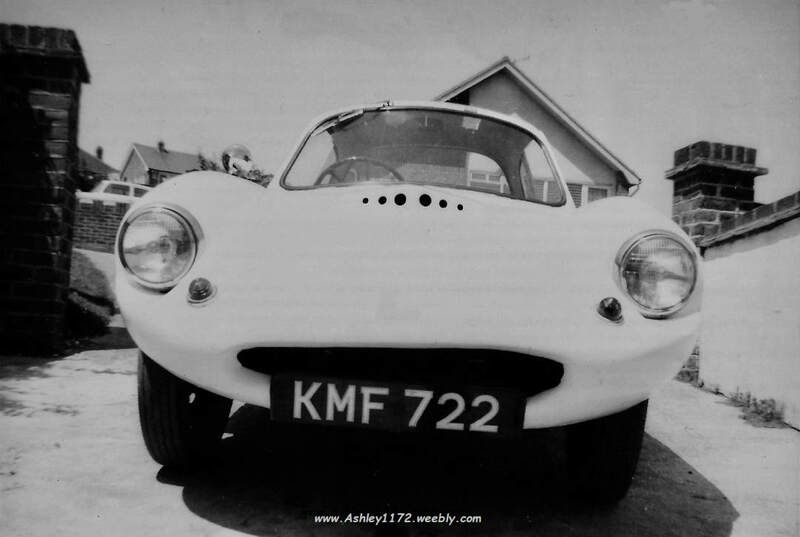 I can't see the registration number anywhere in your website listings - do you possible know anything about this car? It was green when I bought (British Walking Green it was cruelly labelled) so I painted it white - with a brush! with her hanging out like a pro sidecar pillion. I replied telling Tim that there appeared to be no record of his Ashley anywhere, in my files, the Ashley(UK) Register or DVLA records. to which he replied later that day. Hi Ivor, thanks for your quick reply! c) repair the bits that often failed, in order to keep it running. I think I did machine the valve guides to take double springs and I put SU carbs on it. I took the roof off for most of the year. Oh yes, I remember the remote gear lever linkage falling apart at an embarrassing moment and having to change gear with the 'stub' sticking out of the gearbox. ​pass on the info. to Tim.